Who else loves spending Valentine’s Day at home? 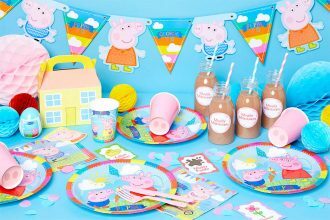 As much as I enjoy wining and dining, I much prefer a quite dinner at home on Valentine’s Day. 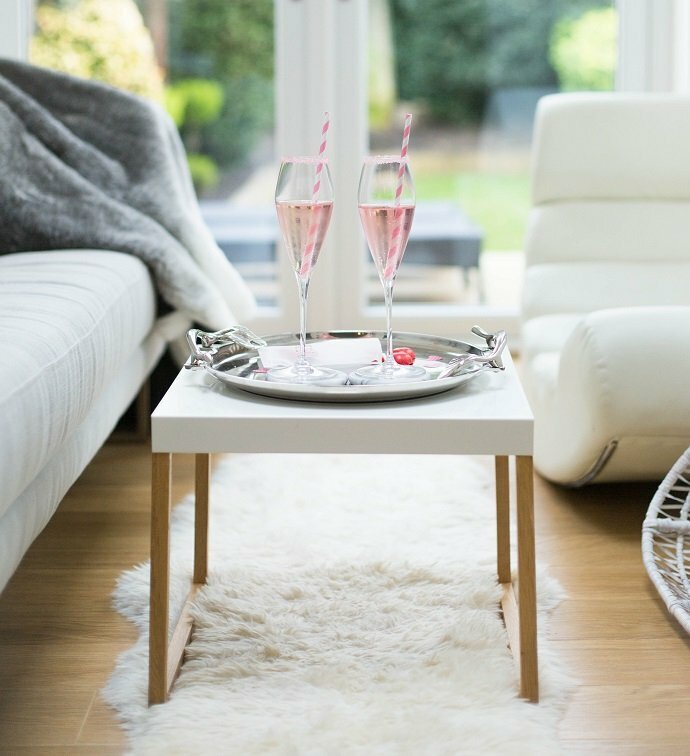 It’s so much more relaxing and there’s nothing nicer than sipping a delicious champagne cocktail on the couch whilst tucking into some heart-shaped chocolates. 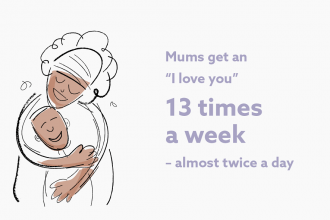 Plus, it’s so easy to make Valentine’s Day feel special at home. 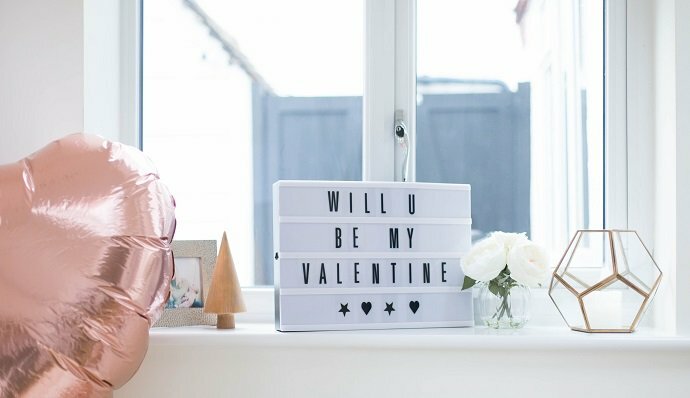 All you need is some cute Valentine’s decorations to enhance the decor and a few treats, like chocolates and cupcakes, that will take the pressure off. Of course, you should also remember to get a nice bottle of bubbly (don’t forget to get a cute wine bottle bag like this to go with it!) and some pretty flowers! If you’re not a fan of bright red, why not go for rose gold accessories instead? 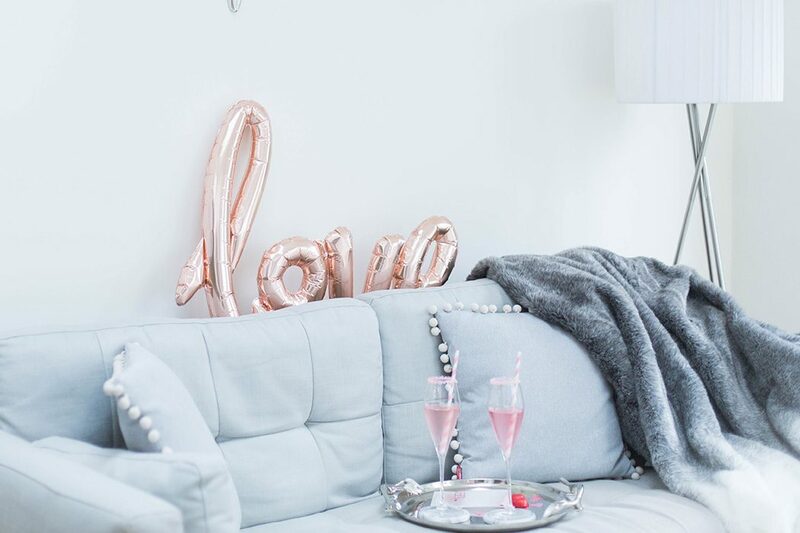 This LOVE balloon is also super chic and perfect for a stylish Valentine’s date night at home. 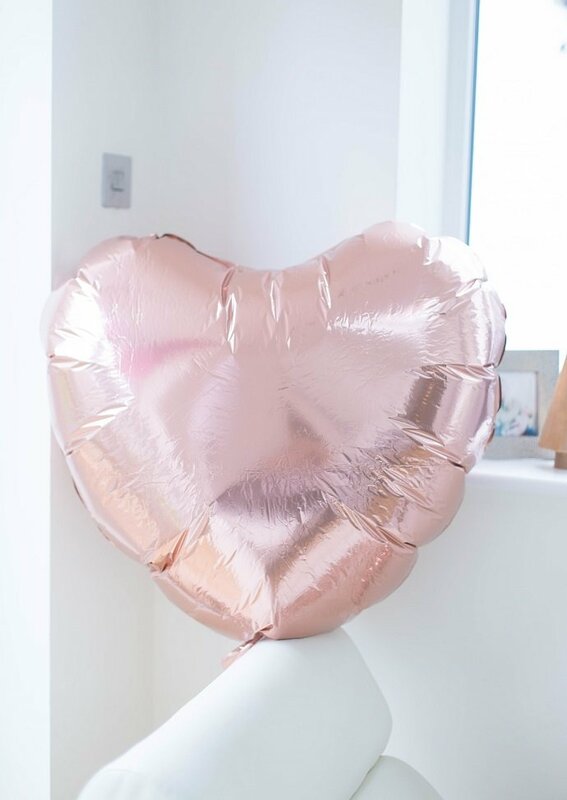 This giant rose gold heart balloon won’t go unnoticed either. You could use some balloon weights with it or simply place it on a chair or a sofa to make a statement. 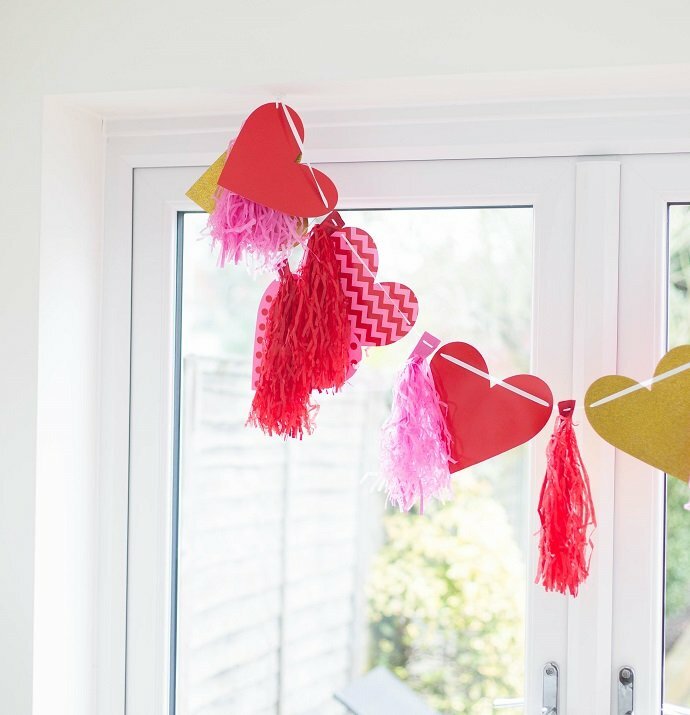 I love the combination of pink and red on Valentine’s Day which why this heart tassel garland is probably one of my favourite Valentine’s decorations ever. I decided to hang it above our double doors, so it’s the focal point of the room. Also, how adorable are those tissue paper tassels? I think the best part is that it didn’t require any self-assembly. 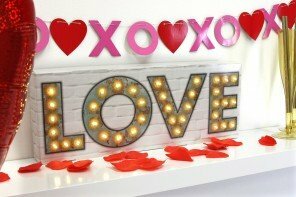 It’s seriously the best Valentine’ decoration ever! Cinematic light boxes like this are perfect for lighting up your evening. 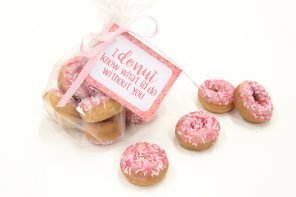 They really are suitable for any occasion but I particularly love using them for Valentine’s Day and birthdays. 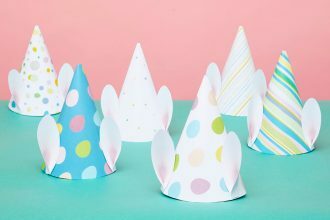 They are just so much fun and easy to use (and look adorable too, of course). 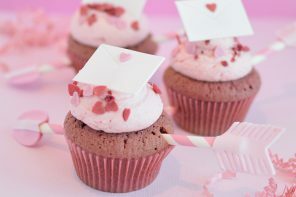 Pretty cupcakes and chocolates are also ideal for a romantic Valentine’s Day at home. I absolutely adore these pink glitter candles! 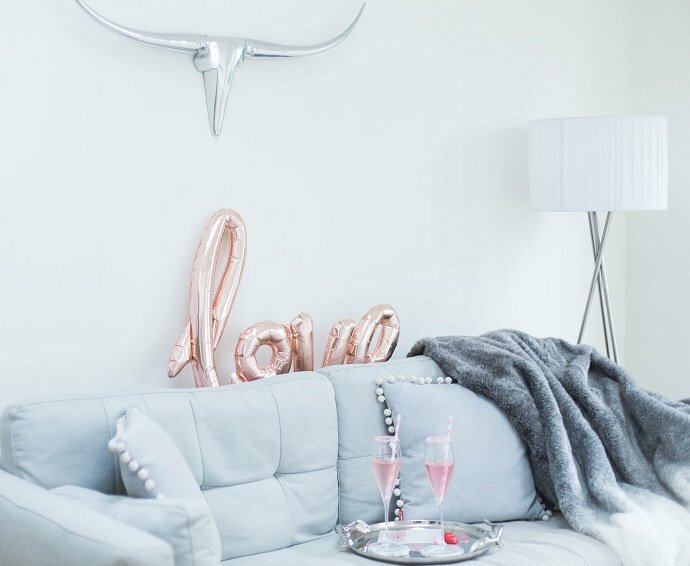 There’s no doubt these glittery pink heart candles will make any event feel special. Now, I couldn’t resist to share my favourite cocktail recipe with you. 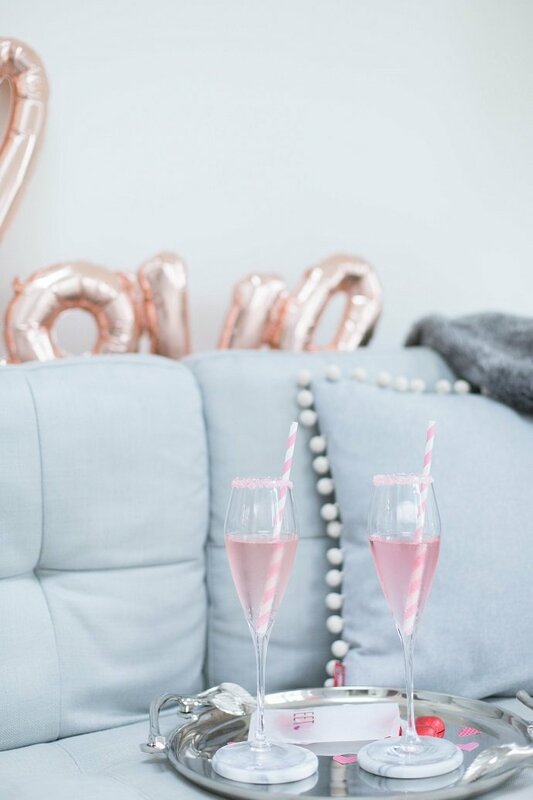 Sparkling wine is always a good choice on Valentine’s Day but if you want to surprise your Valentine this year, why not make them a rose champagne cocktail in stead? It’s so tasty and easy to make. Use traditional champagne flutes. Wet the rim of the glass with a sliced lemon (just hold the glass upside down and run the lemon pulp outside the glass until it’s wet). Then quickly dip the wet rim into pink sugar that’s on a small serving plate and swirl it around until desired effect is achieved. Mix the gin and the syrup in a cocktail shaker and shake it 3-4 times. 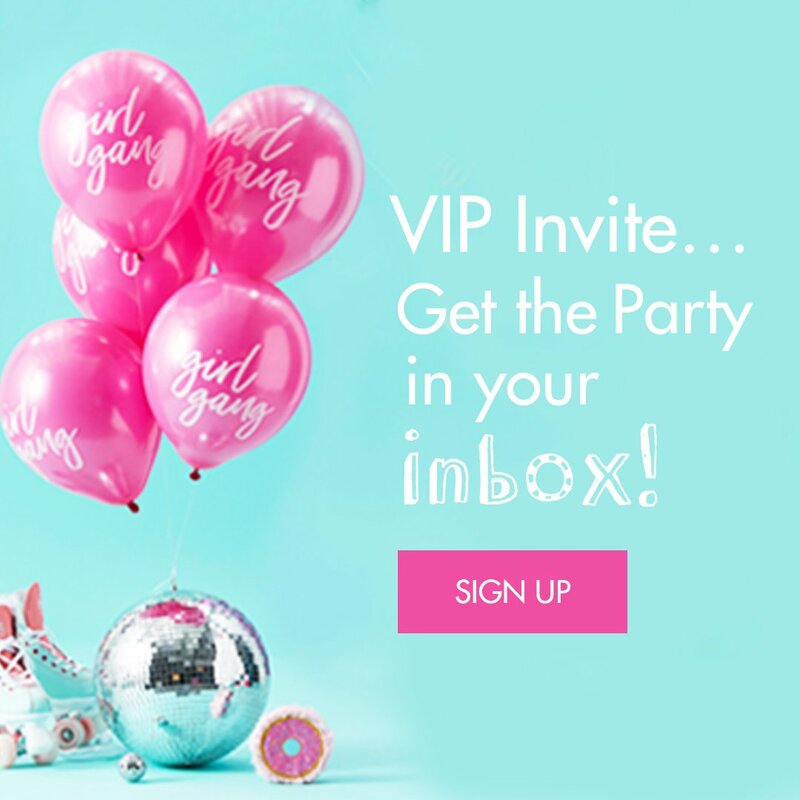 Pour the liquid into the champagne flutes and top up with sparkling wine. Stir with a straw before drinking. 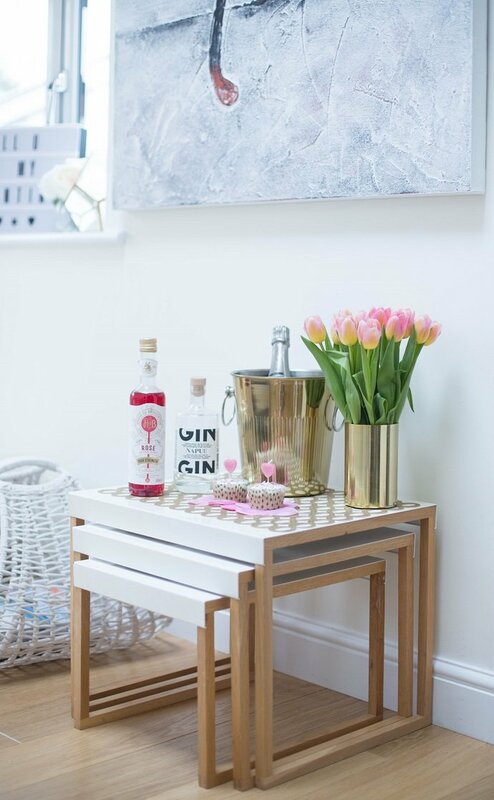 You could also make a little cocktail station in your living room (any side table or drinks trolley will do) and then serve the champagne cocktails on a pretty tray. 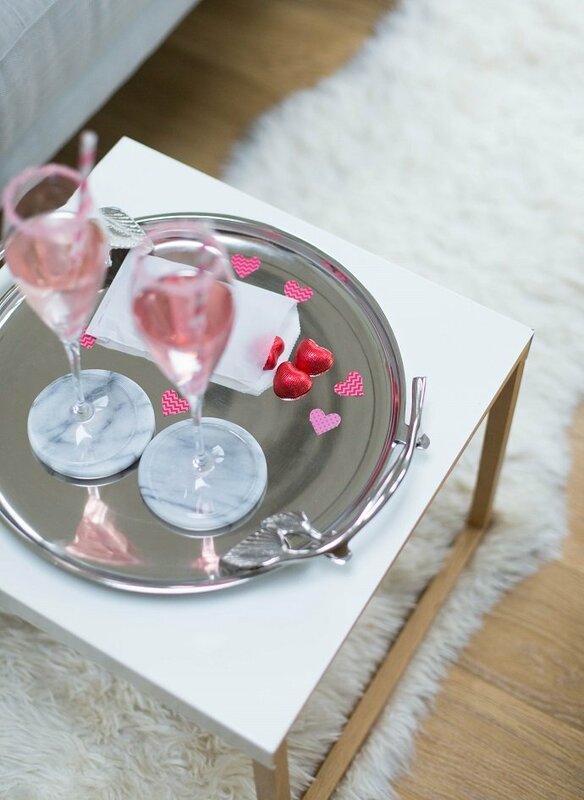 Don’t forget to decorate the tray with some Valentine’s confetti, heart shaped chocolates in a treat bag and rose petals. I can guarantee that with these ingredients your Valentine’s Day at home is going to feel extra special. 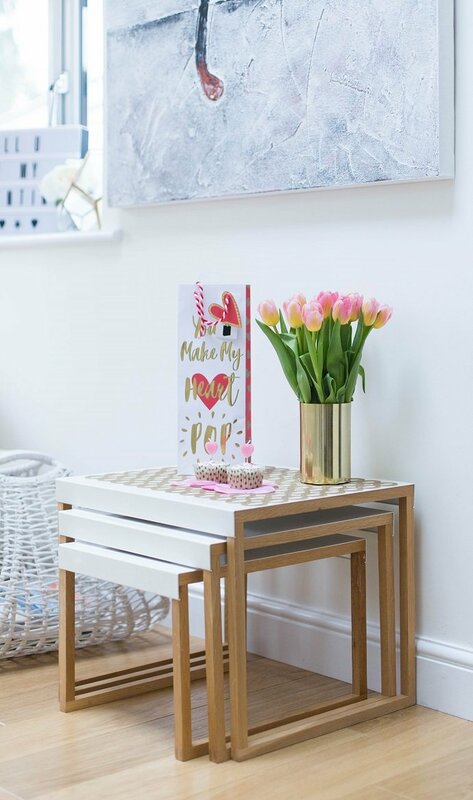 We hope this post has given you plenty of inspiration for a lovely Valentine’s Day at home! 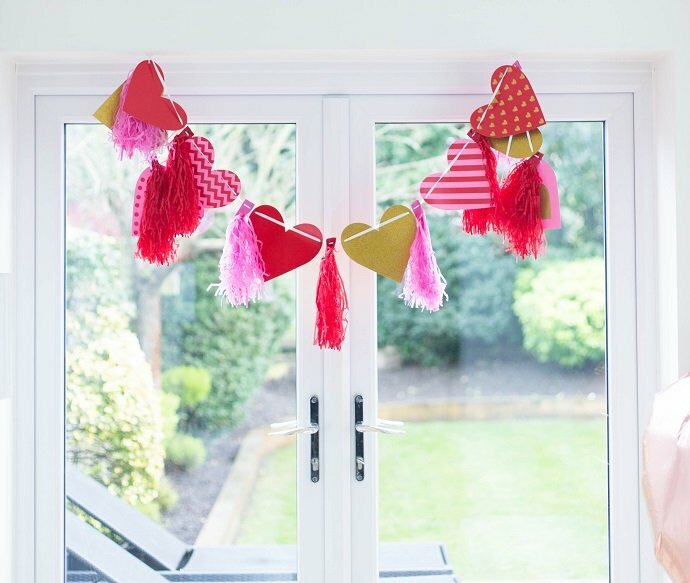 Check out our full range of Valentine’s Day decorations here or stay on our blog for more Valentine’s Day ideas!